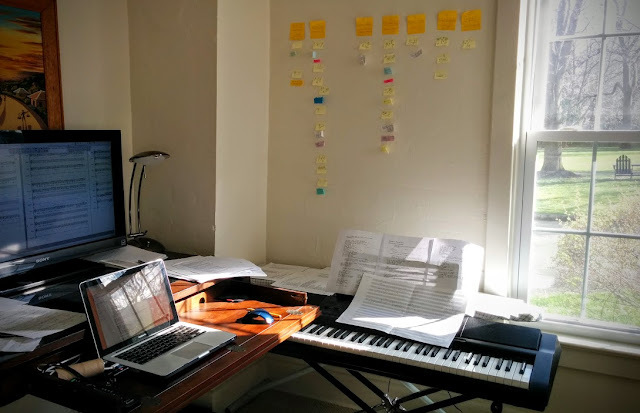 Composer Byron Au Yong and librettist Aaron Jafferis are on a four-week residency at Westminster Choir College to workshop Trigger. 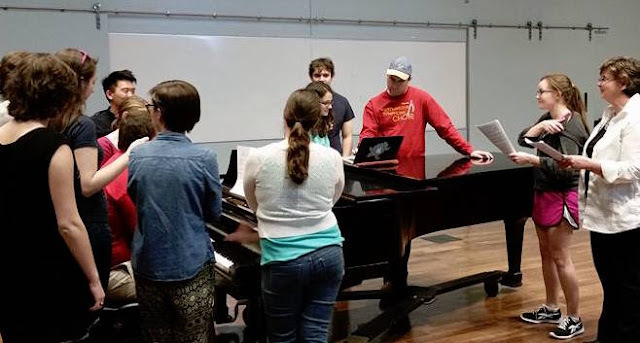 Au Yong and Jafferis lead eight classes as part of Dr. Eric Hung’s “Music and Trauma” course. They and the students present material from Trigger at the end of the workshop. In addition, Au Yong and Jafferis discuss teaching difficult histories with over 100 students in the Music Education Lab. For composition students, Au Yong gives a Composer Lecture and the following week leads a Composer Masterclass.